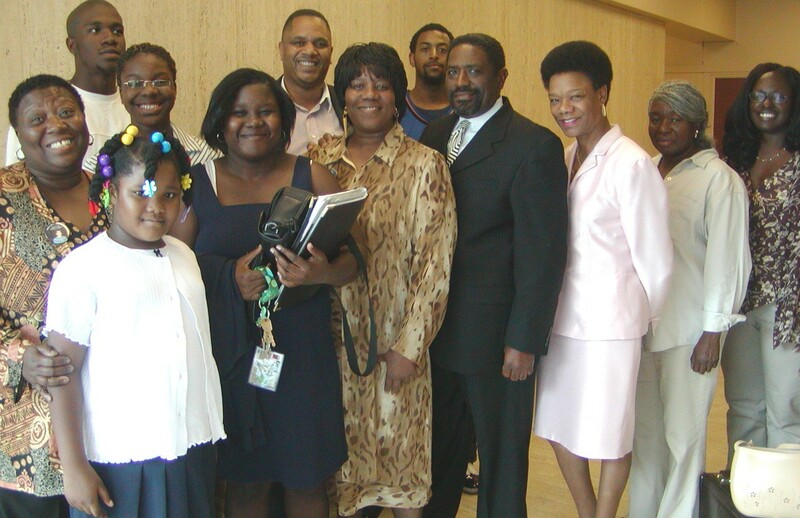 Dominika Jones, mother of Aiyana Jones, with Aiyana’s father Charles Jones at upper left. 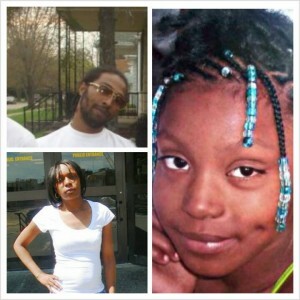 Aiyana was killed by Detroit police May 16, 2010. Like incantations, they chanted the names of their unarmed sons who they said were shot in the back, shot point blank in the chest, shot 14 times, shot on their bikes, shot in parks, shot after leaving a dance, or left to bleed to death in the street. They chanted the names of those whose deaths inflamed a nation: Freddie Gray. Michael Brown. Amadou Diallo. Tony Robinson. Mertilla Jones, grandmother of Aiyana and mother of Charles, who was framed by police and is now serving a 40-60 year sentence. And the names of those perhaps remembered only by the grieving mothers themselves, such as Tremaine Flythe, who was shot by two D.C. police officers while walking to his mother’s house for breakfast the day after Christmas in 2009. 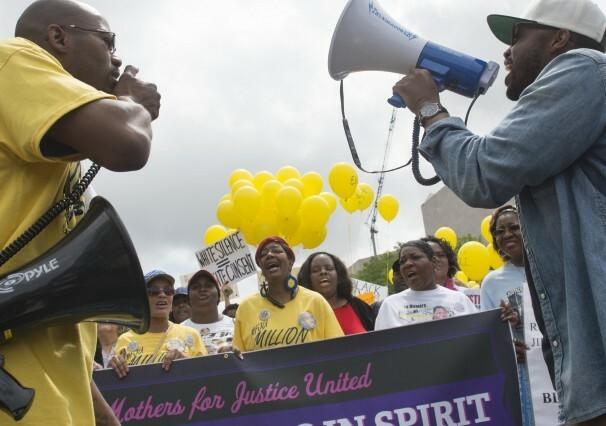 For several hours Saturday afternoon, more than a dozen mothers from around the country whose sons or daughters had been killed by police, or who died while in police custody, were joined by several hundred protesters in a “Million Mom March” to the steps of the Justice Department to demand sweeping police reforms. “Not another life. Not another son. Not another daughter. We will not stop. 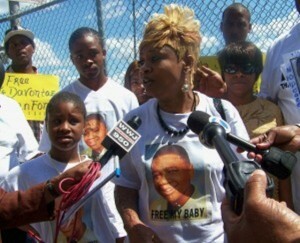 We cannot stop until the killing ends,” pastor Traci Blackmon, of Ferguson, Mo., shouted to the mournful and angry crowd. 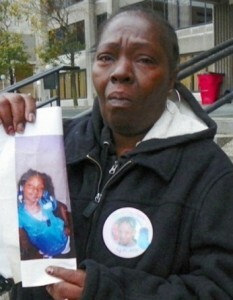 Nelda Kellom, mother of Terrance Kellom, 19, executed by a Detroit police task force April 19, 2015, shot nine times. 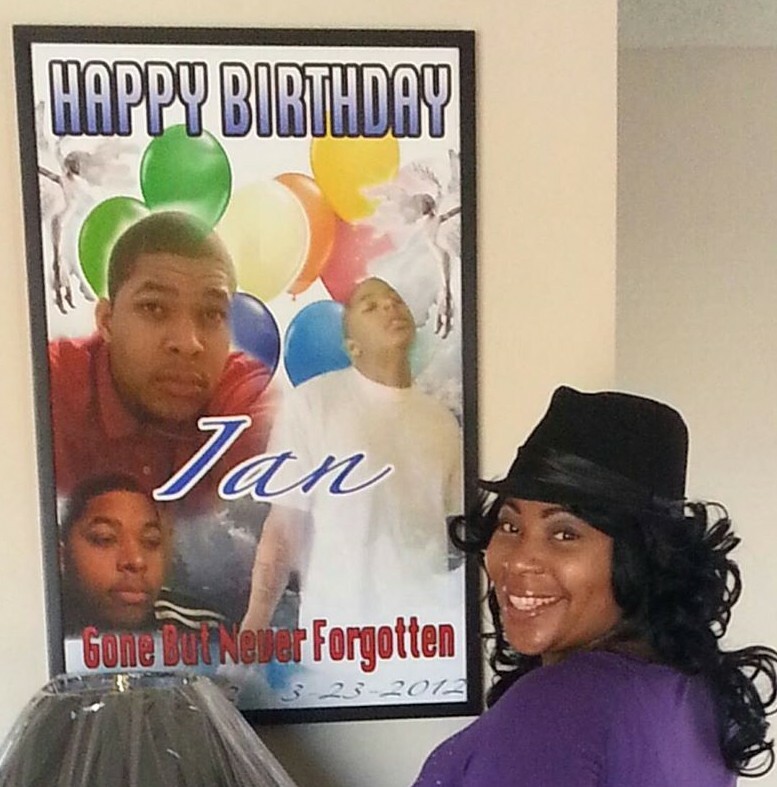 The march, which is not associated with another Million Mom March to protest gun violence in 2000, was organized on a shoestring by Maria Hamilton, who founded Mothers for Justice United in Milwaukee after her son, Dontre, 31, was shot and killed by a police officer in 2014. Dontre Hamilton, who had a history of mental illness, had been sleeping in a park when employees from a nearby Starbucks called the police to complain three times. A scuffle with a police officer who responded ended when he shot Hamilton 14 times. Arnetta Grable (center), mother of Lamar Grable, executed by three time killer cop Eugene Brown in 1996, with her family, lawyers and supporters, celebrating victory in civil lawsuit that took 10 long hard years of struggle. 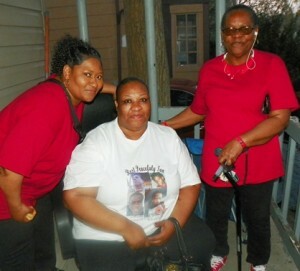 Maria Hamilton buried her son one year ago to the day. Organizing the protest, she said, was a way to help with the shock and numbness that set in after he died. The recent death of Freddie Gray, who suffered a severe spine injury while in police custody in Baltimore, steeled her reserve. 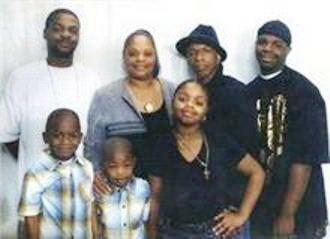 Jacquelyn Porter, (2nd from l) with husband Tommie Staples Sr. at her left, and their children. Detroit police killed Staples Sr. for advocating for children stopped by police in their neighborhood. “This is something that had to be done,” she said, noting that, in many of the cases, including Dontre’s, the officers have gone unpunished. After a spirited but peaceful march down Constitution Avenue, in the shadow of the U.S. Capitol, the mainly African American mothers and a diverse crowd of marchers waited on a hot day for nearly an hour to deliver their 13 demands for police reform. They want the Justice Department to compile a public directory of all officer-related deaths in the past five years, as data like that is hard to come by; to require independent investigations when someone’s been shot or killed by a police officer; body cameras and better training; and to put an end to racial profiling and arming local police with military-style weapons. Kevin Lewis, a spokesman for the Justice Department, took the demands, promised that the department would review them and spoke briefly to the crowd. “No officer should be above the law,” he said. Many of the mothers met with White House officials Friday in what Lewis described as a “productive and very emotional” meeting. 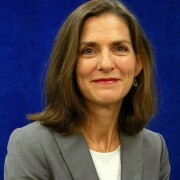 Many of the group’s demands are already under consideration — including gathering better data on police shootings, better training to reduce bias and examining the distribution and use of military-style weapons — as part of the soon-to-be-released recommendations of the White House Task Force on 21st Century Policing. Obama appointed the task force to assuage what he called “deep-rooted frustration” over law enforcement practices in communities of color. Marchers thrust photos of dead sons, dead nephews, dead brothers at Lewis as police sought to lead him out of the crowd. 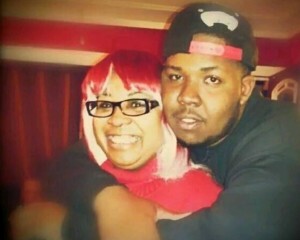 Leda Reed with son Anthony Clark Reed, 24 when he died during a Detroit police traffic stop March 30, 2015. “I’m sorry for your loss,” he told one. Just before he addressed the crowd, Lewis, 32, who is African American, embraced a weeping Maria Hamilton. “I told her I very well could have been her son,” he said. Marion Gray-Hopkins, a retired bank executive in Maryland, marched so the world would not forget her son, Gary Hopkins Jr., who was shot and killed by police in November 1999 after a dance at a local fire station. He was 19. Andrea Irwin flew in from Madison, Wis., so the world would not forget her son, Tony Terrell Robinson, who was shot in the chest, face and back by police officers March 6. He was 19. She wore a T-shirt with a photo of the 6-foot-4 Robinson, smiling and dressed in a suit. “I called him my gentle giant,” she said, wiping her eyes. 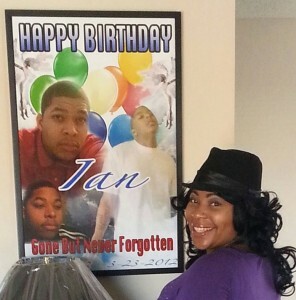 Janet Baker, a recently laid-off human resources worker, paid her own way to come from Houston to remember her only child, her son, Jordan, who was killed by an off-duty police officer while riding his bike because the officer thought the 26-year-old looked like a suspect. Betty Flythe found out about the march Saturday morning. 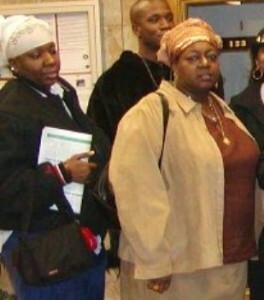 And though nearly crippled with arthritis, she leaned on her cane and marched to remember her son, Tremaine. The late Jamiliah Sombai (2nd from l) with daughter Akua Tuere (l). Their son and brother Rahaab White was killed by Detroit cop. Brigid Schulte writes about Good-Life: work-life issues, time, productivity, gender and income inequality. 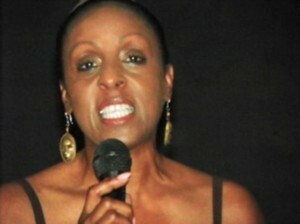 She is the author of the bestselling Overwhelmed: Work, Love and Play when No One has Time.